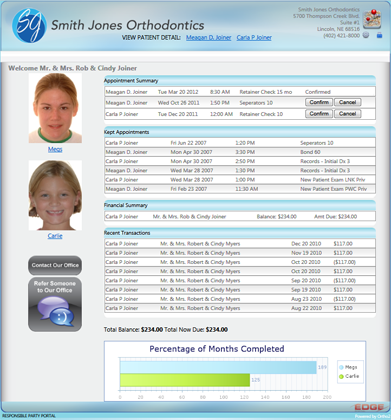 Convenient dashboard view allows you to see a variety of information at a glance. 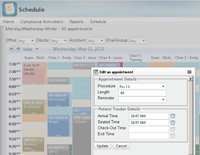 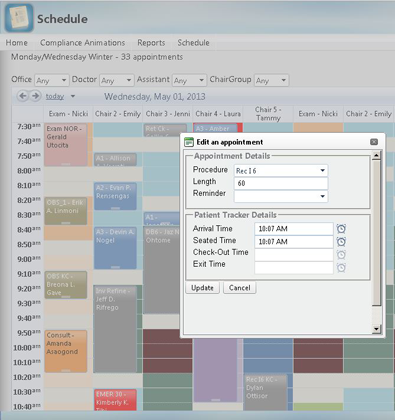 Schedule or change an appointment on the fly. 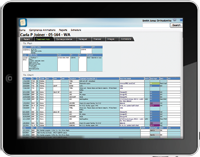 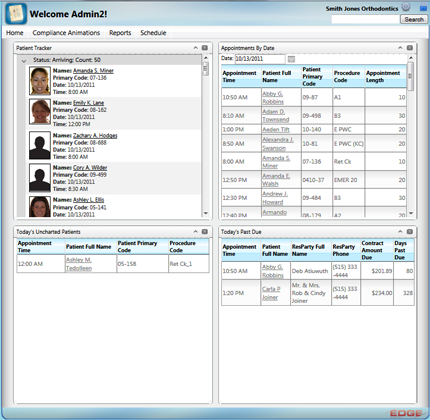 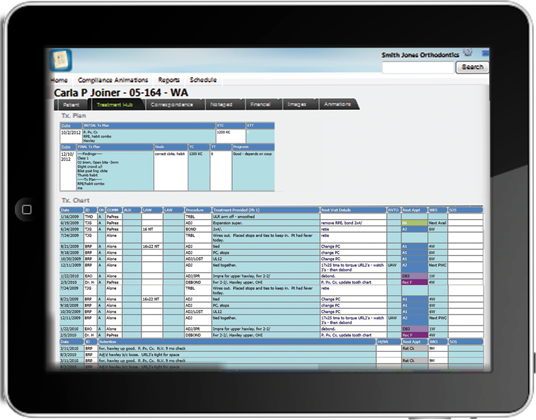 Quickly and easily access and edit treatment chart data from wherever you are. 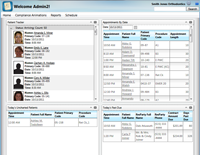 Empower your patients with information about their account. 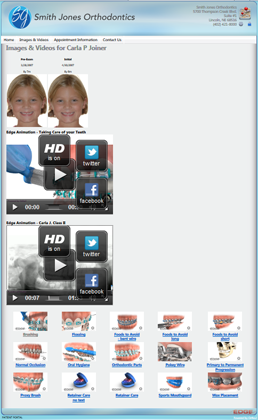 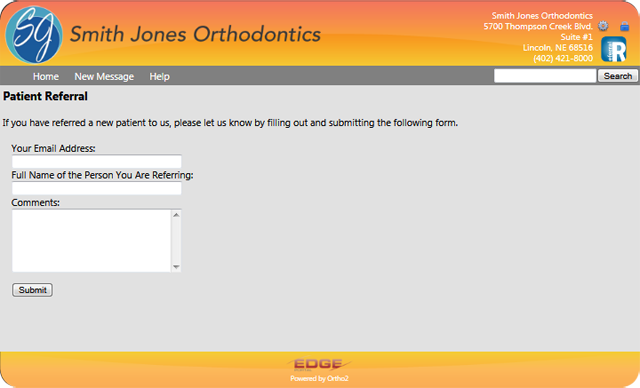 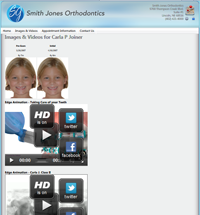 Collaborate with dentists and other professionals. 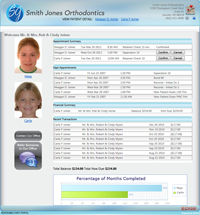 Optionally allow credit card or ACH payments.